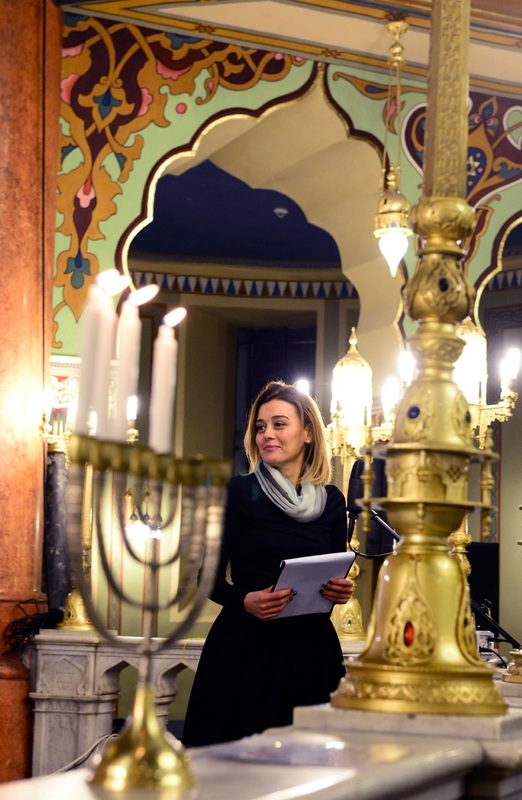 As President of the Central Israelite Religious Council of Bulgaria, she runs the synagogues in Sofia and Plovdiv. A lot of responsibility comes with the job. Sofia Cohen, an advertiser and a mother of two, coordinates all activities in those two Jewish congregations. Her approach is conservative in the sense that she is not interested in change as much as in consistency and continuity. 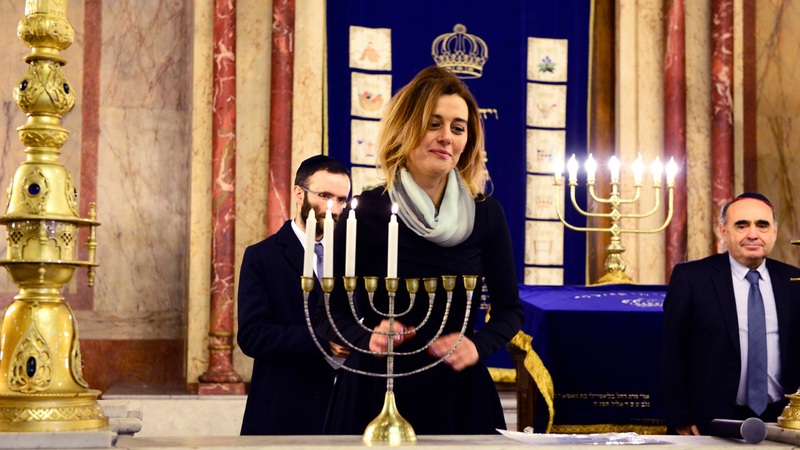 Apart from the two synagogues and congregations, Sofia Cohen is responsible for the Jewish cemeteries all over Bulgaria, for providing kosher food, for circumcisions, Bat Mitzva and Bar Mitzvah ceremonies and funerals. Keeping in touch with other Jewish congregations is another task of hers. And her position automatically makes her a member of the Executive Council of Shalom, which is the secular organization, representing all 5,000 Bulgarian Jews. As if all of the above wasn’t more than enough already, Sofia Cohen is also part of the Governing Council of the National Council of Religious Communities in Bulgaria, which includes the Orthodox Christians, the Catholics, Lutherans, Muslims, the Armenian Church and, of course, the Jews. Imanuel Marcus caught Sofia Cohen at Sofia Synagogue, on a rainy Monday afternoon. Sofia Cohen: “We are a Sephardic Orthodox community. This has not changed, and it won’t, at least not on my watch.” Photo: Solomon Frances. Magazine79: Are their any commonalities between creating advertising campaigns and running a Jewish congregation? Sofia Cohen: There are. Being a professional in the field of communication is very helpful when you hold a public position like the one I hold, as representative of the Religious Council. I know how to work on messages and how to work with content. What we do here might not have been called that way in the past, but what religion and community work includes is to create messages and to put our vision into words. Also we work on a project basis, because that approach is effective. In addition, we always take our target group into consideration. Indeed, all of this is similar to what I do in advertising. Magazine79: Do you even use slogans at this congregation? Sofia Cohen: Sometimes I do. Whenever I can apply my knowledge in communication, I do, because I know that the simpler and shorter the messages are, the more comprehensive they will be. My goal is to be understood. My goal is to reach as many community members as I can, but also Bulgarian society. And we have to be very precise in what we say. Like in advertising, we find insights telling us what people want, need and feel. Based on those insights you shape and develop new projects. The difference is that I don’t treat Judaism as a product, because it contains the oldest wisdom which exists. But the question always is: How do you reach the people? How do you give them access? Our job is to give members of the community access to a religious life, or to give them the opportunity to lead one. Magazine79: You are the first woman in this position in Bulgaria. At the same time, this is officially a Jewish Orthodox congregation. What is the contradiction here? Is there one? Sofia Cohen: We are a Sephardic Orthodox community. This has not changed, and it won’t, at least not on my watch. It is my mission to preserve the community and our synagogues from our predecessors, exactly as we inherited them. And this is really important to me. I accepted this job, I started this journey because I deeply care about preserving it all. I believe all of this has a great value. It does to me. And I want to pass it on to our children. The fact that I am a woman does not necessarily contradict anything. The position that I am holding is supposed to be held by a Rabbi. In the bylaw it actually says “the Rabbi” should be head of the religious council. But for this we would need a Bulgarian Rabbi, a member of our community who would be a Rabbi. Since we do not have a Bulgarian Rabbi, we go to the next option, “a member of the community who participates and cares about the wellbeing of the community”. It does not say it has to be a man. Magazine79: Why is there no Bulgarian Rabbi? Magazine79: … which is not exactly a conventional Shabbath activity, especially for a Rabbi. Sofia Cohen: Everyone knew him for that, and everybody loved him, because he was a very good Rabbi. He was open-minded and he probably wasn’t as strict as most Rabbis are. The Bulgarian community always was like that. But still, within the synagogue, we are keeping everything the way it should be. This includes the food we have in our small kitchen. We keep kosher, we celebrate Shabbath, during which we never use electricity or anything forbidden. But the members of our community are not strict in their religious lives at home. And we are aware of that. I always say that I am a good representative of our community, because I am as religious as it gets around here. Magazine79: Do you see yourself as a role model because you are a woman in this position? Sofia Cohen: I don’t really think about that, but I hope i am a good example to my children. We all want to best for our children. So when we think about them and about what they see in us, we hope to be the best image possible. I believe I set a good example because I genuinely care about what is happening here. My intention is to work for the benefit of the community, and I do this work voluntarily, like everyone else in the Council. Magazine79: O.k., that is how you personally feel about it. But when girls and women look at you in this position, what do they think? What kind of reactions have you gotten? Sofia Cohen: Everyone is surprised that a woman can represent a religious group or organization, especially a Jewish Orthodox congregation. I tell them that this is an example which shows that women can do anything. There are no limits, and we should not set any ourselves. If I limited myself, saying this was not possible, that limitation would be my own creation. For women, there are two kinds of limitations. We are confronted with one kind when people are telling them there is something they cannot do because they are women. This is an external factor, but there can also be an internal one. Women sometimes believe there is something they can not do, because they are women, because they have other responsibilities in the family, or similar. People are surprised when they hear my story. Recently, I spoke at a forum. Some of the women there seemed inspired. But we should not even stop and think that way. When we have a vision, we should just go and lead the world towards it. Nothing will be able to stop us, because we are honest and we have the integrity since we believe what we are doing is right. Nobody can stop you, when you do things that way. Magazine79: Regarding the 75th anniversary of the salvation of the Bulgarian Jews, as well as the commemorations for the Jews from Thrace and Macedonia, who were deported and murdered, you took part in many events. For some of them, you even traveled to Macedonia, Russia and Israel. What impressed you most? Magazine79: But he did not apologize. Sofia Cohen: I do not think this really matters. The mere fact that he was there, that he laid down flowers, that he said “We will not forget the souls of those who were not saved”. I think this says more than enough. They went further than any Bulgarian government before them. It was a brave act. Sofia Cohen: “When we have a vision, we should just go and lead the world towards it.” Photo: Solomon Frances. Magazine79: And what about President Radev? How did he go through these events, including those in Israel? Sofia Cohen: I believe he was very emotional and moved about the story we are sharing. I do think his speech was wonderful. We all did important things during this anniversary, and we should all be proud of it. The President, the Prime Minister, and our community. Magazine79: And the Foreign Minister, who said Bulgaria had governed the regions from which those 11,434 Jews were deported. Sofia Cohen: Yes, she put it the perfect way. I was also in Moscow, for a ceremony at which an exhibition was presented, about the salvation of the Bulgarian Jews. Yes, things are complicated with Russia, also in this regard, but it was very well articulated. The story was so well communicated this year, also in Moscow, and right here at Sofia Synagogue. I am very positive about everything we did, and I really believe we should acknowledge the work of the institutions and the progress in their thinking. Magazine79: You are the boss around here. But there are discussions about adding a new religious approach to the one we have. Are there arguments within the community? Sofia Cohen: I can say that there are absolutely no arguments right now. Yes, there have been discussions. We, meaning the Religious Council, the leadership of Shalom and members of the community, have agreed that not splitting up the community is the most important aspect. So, it is very important to all of us to stay together. Another important aspect is the fact that we are Sephardic Jews. This is the basis of our discussion. We are continuing the discussion from this point forward. We want to be an Orthodox Sephardic community. But, as I have mentioned, the Bulgarian Sephardic community has always been flexible and open-minded. I was at a very interesting Sephardic regional meeting. We held the second one here in Sofia, but I am talking about the first one, in Istanbul. Down there, they are very determined when it comes to preserving the Sephardic culture in the region. At that meeting, I mentioned something about us being an Orthodox community. 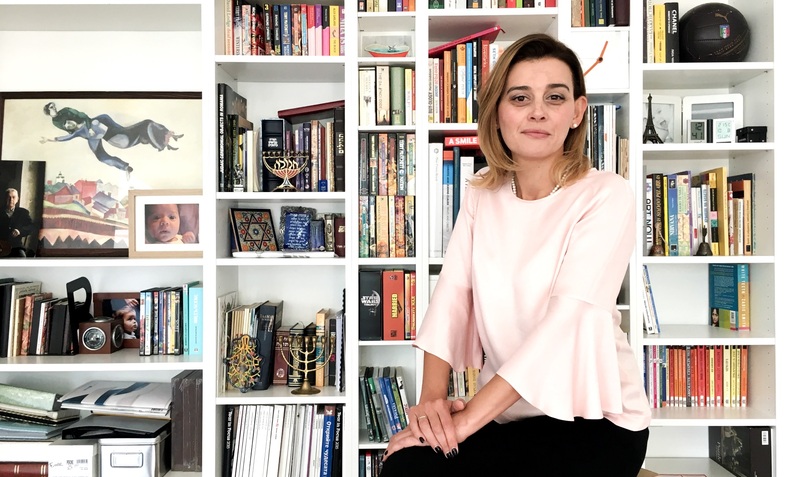 And Rabbi Haleva, he is the Chief Rabbi of the Turkish community who is respected and very wise, told me: “Sofia, you don’t have to put labels on things. We are Sephardic.” I really liked that.